-Sheikh Mohammed bin Rashid, Vice President and Ruler of Dubai. The Etihad Museum was opened to the public on January 2017. In this post, we go over some of the most common questions someone might ask before visiting the museum. Where is Etihad Museum located? The museum is located along Route D94, also known as Jumeirah Road. This is actually the location where the UAE was first founded in 1971! Make sure you are familiar with this information. As the museum only opened recently, not all taxi drivers will know the location by name alone. What is there to see at Etihad Museum? The Etihad Museum is host to a variety of photographs, videos and interactive displays. You can view artifacts from the original founding fathers, watch informational videos on the country’s history, and explore an interactive timeline showing the nation’s founding. Furthermore, there is a cozy library where one flip through photography books, a beautiful garden to walk around in and a great cafe serving delicacies like camel milk ice cream. To know more about the country’s history, we recommend taking one of our Historic Walking Tours of Dubai. How long does it take to explore the museum? We recommend planning to spend 3 hours at the museum. Unfortunately, there is no official souvenir store at the museum. However, the Seven Sands cafe on the 3rd floor sells delicious sweets that you can certainly take home to share! What are the museum timings? Etihad Museum is open daily from 10:00am to 20:00pm. Adult tickets to the museum will cost 25 AED. Groups of 10 people or more can pay 20 AED per ticket. Students (5-24) can pay a reduced amount of 10 AED. The museum is free for children under 5 years of age and disabled individuals. 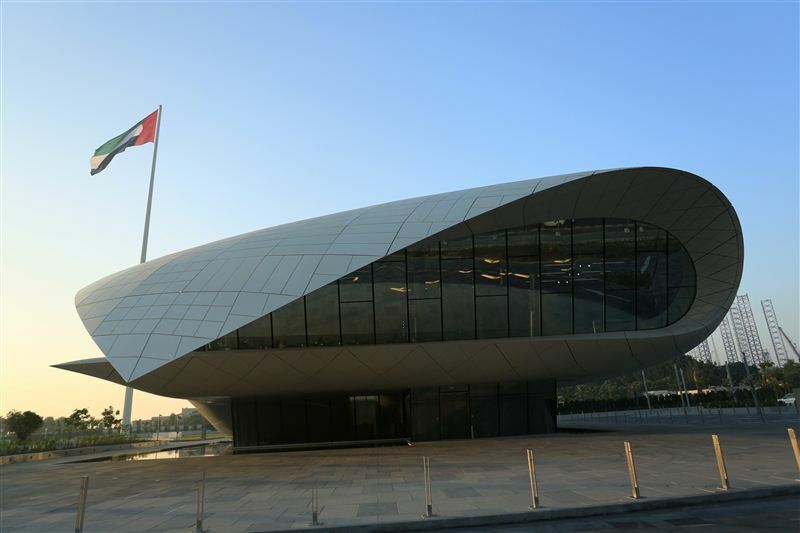 The Etihad Museum provides a great way to explore the founding of one of the fast growing nations in the world. We recommend it as a great way to learn the region’s history amisdt a thoroughly modern setting.